Stay connected to your investments while on the go. This free, fully optimized app allows you to manage all of your account information in one streamlined view—including workplace retirement, IRAs, brokerage, college savings and small business. Simply download and log in using your current T. Rowe Price user name and password. Also now available: You asked and we listened! 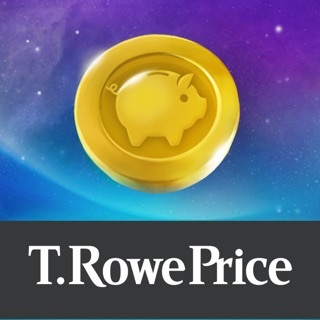 Building on the success of the Personal® App for iPhone®, we are proud to announce that the T. Rowe Price Personal® App for iPad® is available in the App Store™. Apple, the Apple logo and iPhone are trademarks of Apple Inc., registered in the U.S. and other countries. App Store is a service mark of Apple Inc. T. Rowe Price Personal is a U.S. registered trademark of T. Rowe Price Group, Inc. The app provides some features that make it easy to manage and shift contributions and show how those are currently allocated to you investment elections. However, it does not make research of investment options easy, especially if you want to compare side by side with other investment choices. It also does not provide a breakdown for an active 401k of how the money is growing. How much is from your own contributions vs. employer match vs. market change of the investment. Also does not provide MTD view of rate of return on your funds - Always have to wait until the month. Compare this app to Fidelity and the latter wins on all areas where this is lacking. I have just started using this app and haven’t fully explored all of its features. HOWEVER, from what I have experienced in the app is the need for some updates. It is compatible with iPhone’s Touch ID but like many other people who like to stay current with Apple’s latest products, I am a little disappointed that this app doesn’t allow me to use Face ID but instead try and remember my password like a caveman. So, for starters, an update that allows the app to work with Face ID would be greatly appreciated. Thus far, it is my only complaint with the app. I see progress in the app and have changed my stars from 1 to 2. I think there is still work to do but the update was the step in the right direction. The interface is getting better and this app is showing potential. Keep up the good work, developers. This app has a terrible interface and needs re-developing. I want to use my phone as a primary way to access my account and it’s just not possible with this app. For 2018, this app is so far away from being a go-to app and it needs a completely new design.